Our Birthday Princess Tiara will honor any little birthday Princess in style. 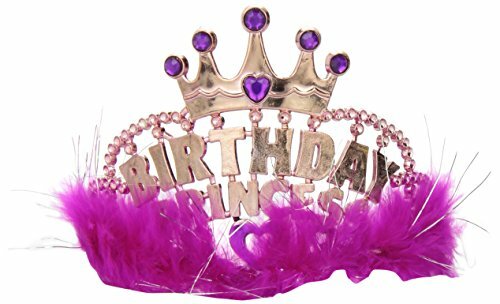 Each plastic birthday tiara features marabou trim with iridescent accents. 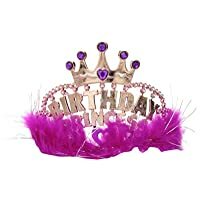 This Marabou Birthday Tiara has the words Birthday Princess across the front and measures 4 inches tall x 5 inches wide..